With 9 states, Austria commands one of the richest economies in the world. As a result, Austria has one of the best education systems. In this unparallelly advanced Education system, one will find the means and motivation to do the things he/she only dreamt of. With more than 140 higher education providing institutes, a wanderer will find more than enough anecdotes to quench the that individuals thirst for knowledge. So be prepared, and take the leap towards the dream. Austria will never stop surprising you. 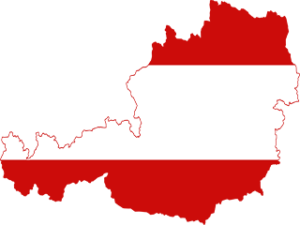 As of today, Austria boosts its profile by accommodating more than 140 universities and other higher education institutes. That number consists of 52 Government Universities, 20 Private Universities, 36 Applied Sciences Universities and 30 Universities of Teacher Education. There are two semesters. Winter semester (October 1st to January 30th) and Summer semester (March 1st to September 30th). But, normally international Students are taken in great numbers in September-October session. Bachelor Degree (3-4 Years): Computer Science, Engineering Sciences, Biotechnology, B.B.A, Finance, Management and Marketing, Finance and Banking, Computer Science, Economics, Electrical & Electronics Engineering, Civil Engineering, Economics etc. Natural Sciences: Physics, Chemistry, Mathematics, Biology, Statistics etc. Engineering: Networking and Information Technology, Management and Marketing, Finance and Banking, Computer Science, Electrical & Electronics Engineering, Civil Engineering, Economics, Organization Management, MBA etc. Business: International Business, Management, Planning and Management of Tourism Systems, Finance and other latest state-of-art programs are available. For Masters: Bachelor or equivalent Degree completion. 3 years’ degree pass is also accepted. Partial result doesn’t carry any extra significance to get admitted. Work experience is not required; but may carry extra gravity to secure admission in University. Language Proficiency: An IELTS score of 6 **(At least) required. Tuition Fees: All students are payable € 726.72 per semester while studying in the Government ran universities. But, Private and Applied Sciences Universities can charge tuition fees. ***(We process for the Governments Universities only). Completed and signed application form called “Residence permit for students” (“Aufenthaltsbewilligung – Studierender”) and “Completion Assistant” “Aufenthaltsbewilligung – Studierender”. 2 passport photos in accordance with ICAO-criteria (in Colour, size 3,5 x 4,5 cm). IELTS certificate with a minimum score of 6. Applicants have to submit all original copies with two sets of valid Photocopies.